You might have noticed our many recent 'January Club' reviews, featuring lots of different kit to get you active. One thing we found invaluable during our actual new fitness regimes that inspired the month of features, was a decent pair of headphones. Music can help to keep you going when you're pooped, and also to keep your mind from the pain. THE PAIN! However, everyone will have a preference on the type of headphones they workout with, and they don't always have to be tiny and expensive. 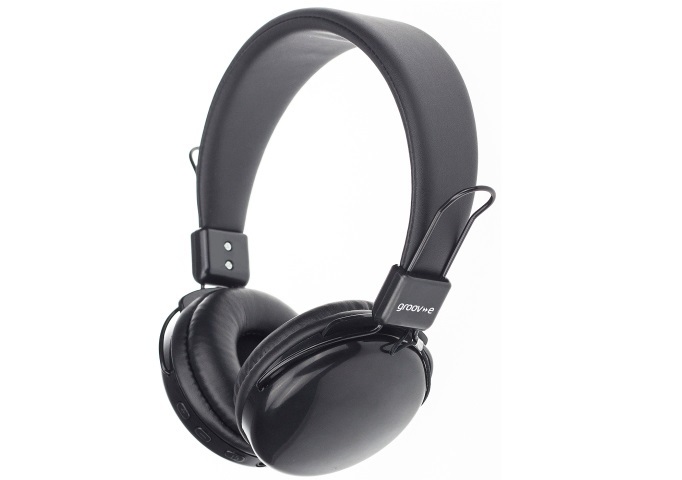 We test the Groov-e Rhythm Bluetooth Headphones. First up, Groov-e are not selling these headphones as sports accessories, and there is nothing in the Rhythm's marketing bumf about it. 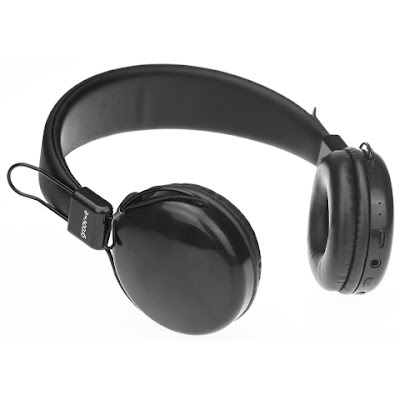 What do they push is the fact that they are on-ear headphones with adjustable cans and a flexible headband, which connect to your music device via Bluetooth. They are light, relatively compact, and come only in a colour of which Batman would definitely approve. Second up, they are cheap as chips. Right now the Groov-e Rhythm Bluetooth Headphones could be yours for just £29.99, which, for “full” wireless headphones, is very good. The Rhythm's overall aesthetic might live up to that low price, however, as there really isn't much to look at on them, being encased with smooth black plastic. But the lack of stylistic flourishes helps to keep the weight down, so when they are on they are barely noticeable over long periods, and comfortable enough to stay there for a good long while. Although the Bluetooth connection is the main selling point for headphones that are this cheap, you also have the option to connect via the included 3.5mm audio cable, making them useful for older music devices, and those times when you just can't be bothered to hit that Bluetooth button on your phone (or, you know, if their battery is flat). So yeah, we found they were great for running. If we're being honest none of us are huge fans of in-ear headphones, especially for work-outs and jogs, as they tend to block out a lot of the ambient sound (which can be dangerous for street runners) and they have a tendency of falling out. Over the head, over the ear headphones are, therefore, preferable, and the Groov-e Rhythm Bluetooth Headphones worked a treat, not just because they stayed put during a vigorous dash, but because we knew the average person wouldn't be overly precious about them, with them costly less than thirty quid. However, the low price did show itself in the sound quality. The cans aren't bad at all, and in quiet conditions with the volume set low to mid, they reproduced a decent sound with enough clarity and depth of bass to keep you happy. Crank up the volume and you'll start to get a touch of interference, and clarity will reduce. Audiophiles looking for their next immersive pair of 'phones will be disappointed, but the average user on a budget will find them more than adequete. 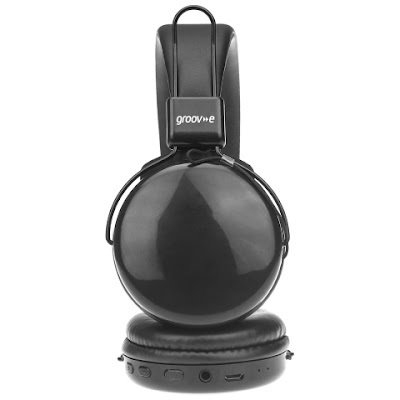 So although we weren't expecting them to, the Groov-e Rhythm Bluetooth Headphones performed well in active situations and proved to be neat, cheap and versitile.